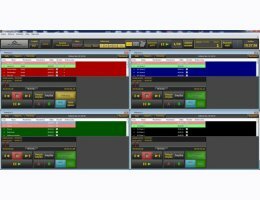 SceneFlow Pro is capable of simultaneous and independent playback from five eight-channel players at the same time. It is suitable for all theaters, shows, stadiums or stage projects that need surround multichannel sound. It can be remotely controlled by computers in network and simultaneously backed up during show by other computers.